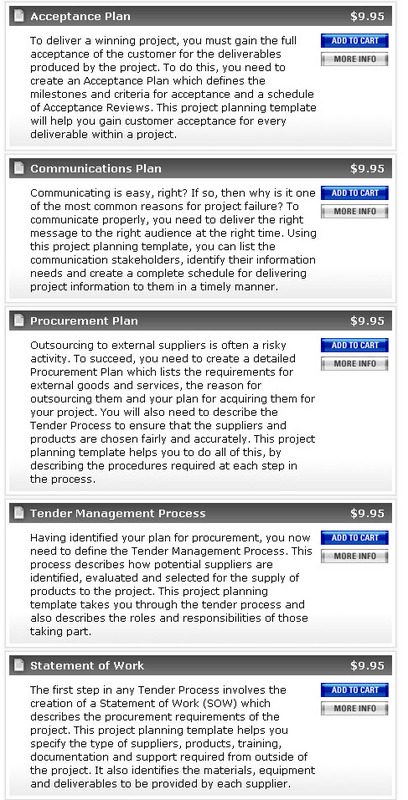 Project Planning Templates for low price! Everything you need to start up a project by planning it the right way, reuse forms, such as request for proposal, information, supplier contract, tender register, phase review, statement of work, acceptance plan, supplier contract and others for your project management planning stage.! 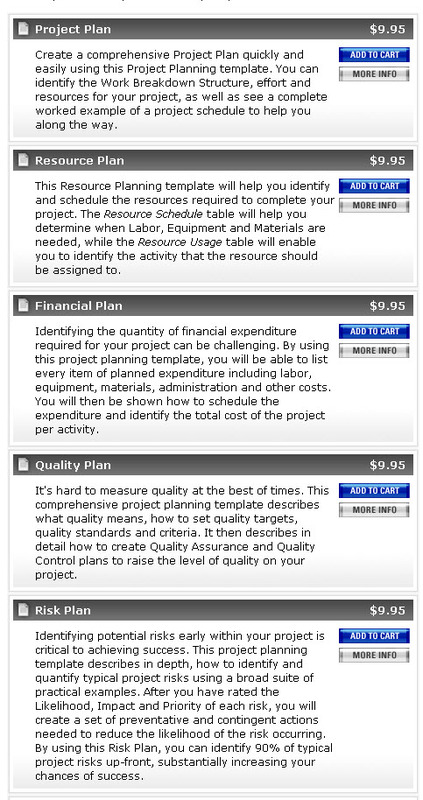 These Planning Templates provide you with all of the project management planning documents you need, to plan projects. Every project planning template has been pre-formatted and already includes the sections, tables and practical examples you need. Click Buy Now button to purchase your template or Buy Entire Project Management Kit, that includes all of these templates and get FREE Project Management Study Guide. Use Project Management templates to deliver your project from start to finish, and by using initation template you can save time on project, download them today. 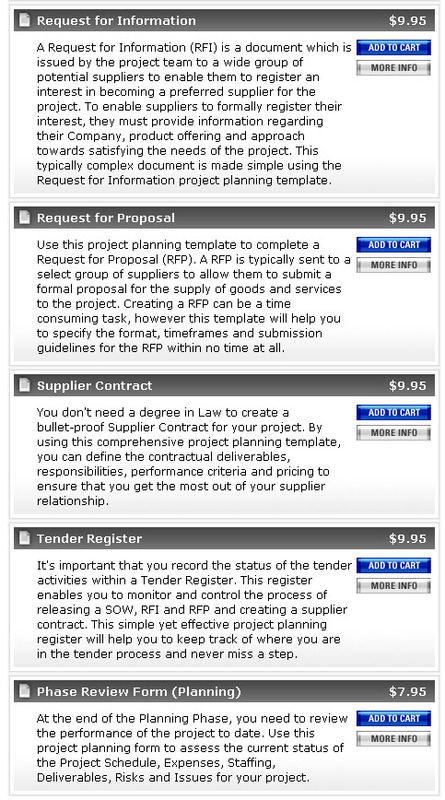 See how Tutoring Services, LLC uses these templates in real life project cases. Preparing for PMP Test is easy? Visit our best recommended study guide for PMP certification exam. Compare Prices, select best study prep material for your exam preparation. Residing in the state of CT | NY or NJ? And also happen to be project managers? Do you live in any of the following counties? Westchester, Bergen NJ, New Haven or Fairfield? If so visit this link to view local job tutoring opportunities for Project Managers in these counties, directly from Tutoring Servies, LLC.